With an eye on the seats in Kangra, the Himachal Chief minister announced that Dharamshala would be the hill state’s second capital. DHARAMSHALA: Selling trinkets and woolens in the bustling Kotwali Bazar here, Rajkumar Singh is engaged in an animated discussion with some Congress supporters. 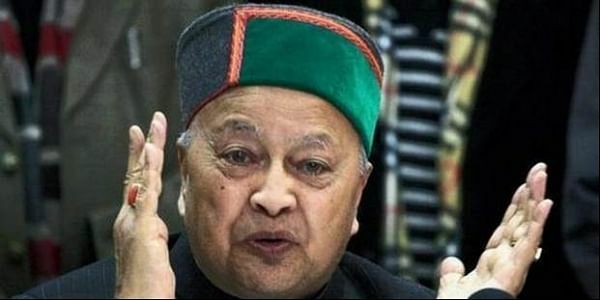 “The state is in debt and yet Rajaji (chief minister Virbhadra Singh) has pledged to make Dharamshala the second capital of the state. If you can justify that, my vote is for you,” he says to them. The Congressmen are stumped by the poser here in this beautiful town in Kangra district, some 250 km from Shimla, currently the singular capital of Himachal Pradesh. It’s true that the hill state is reeling under a debt of Rs 45,213 crore, about 38.3 per cent of its GDP. Sceptics are not convinced that a second capital is the need of the hour. “Can any government with such a huge debt afford to have a second capital? Jammu & Kashmir spends Rs 150 crore annually for the Durbar Move,” says retired professor Ravi Sharma. Virbhadra’s announcement had come out of the blue. It was on March 10 that the state government announced Dharamshala as the second capital. Few had even voiced a demand for a second capital. So why? The reason is that Kangra district has 15 Assembly seats out of a state total of 68. The Kangra-Chamba parliamentary constituency envelops no less than 20 seats. So it’s axiomatically said that whichever party carries Kangra will form the government in Shimla. The axiom has held true for two decades. The chief minister’s justification is that a second capital in Dharamshala will obviate the need for people of Kangra to travel the long distance to Shimla. Shimla-based political analyst Harwinder Singh says the travel time between Shimla and Dharamshala is about six hours, hardly long enough to justify a ten-fold increase in administrative expenditure.